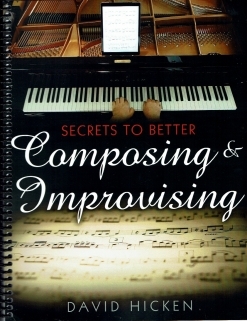 Secrets To Better Composing & Improvising is the third book in David Hicken’s series of books on playing the piano, composing, improvising, and other aspects of being a musician. A very successful and experienced pianist, composer and performer (on piano and organ), Hicken was also a piano teacher for many years and founded The David Hicken School of Music in Hawaii. He is no longer teaching students one-on-one, but he is writing a series of books that will reach a broader audience while giving Hicken more time for his own composing. I am a long-time piano teacher myself and have been playing the piano since I was about five years old. 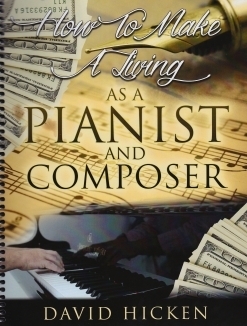 I have never composed any music, so I read this book as an experienced pianist but not as a composer. I found the book extremely engaging and very thorough. In the introduction, Hicken explains why anyone can compose music and demystifies some of the process. There are many chapters and many more subheadings, so if you are looking for information about specific areas of music composition, they should be easy to find. 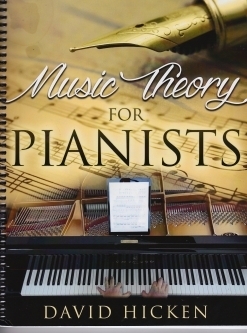 A lot of music theory is covered, which is essential, but Hicken keeps the discussion lively and informative and uses terminology that I think beginners and more advanced musicians can understand and relate to without him “talking down” to them at any point in the book. 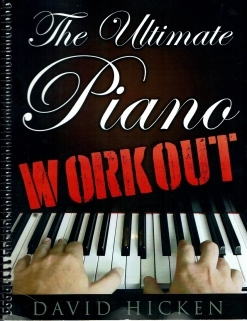 The first 90 pages of the book is (very well-written) text that covers such things as how to set up your workspace, which notation software to use, suggestions for creating a melody, a history of improvisation, “packaging your music,” contrasting elements, and great deal of info about chords and exercises for mastering them. Pages 91-129 focus on triads, chord structure, major and minor triads, inversions, chord symbols, seventh chords, quadrads, the cycle of fifths and much more. The book itself is soft-cover and spiral-bound. The format is 8.5”x11” and the paper stock is a little heavier than regular copy paper and should stand up well to many years of usage. The font size is fairly large and quite readable from the piano. Hicken’s writing is very clear and easy to understand, so I can recommend it to budding composers at any age. Kids might need some additional guidance and explanations from a teacher, but this book should be very helpful to just about anyone who wants to compose their own music. This book and the other volumes in the series are available exclusively from www.DavidHicken.com. Very highly recommended!